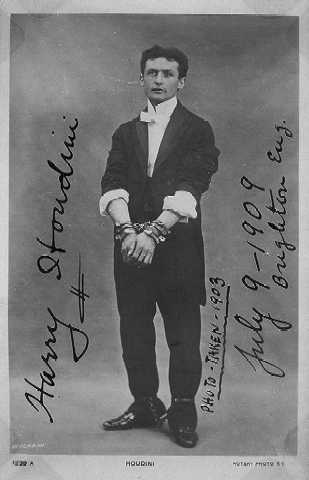 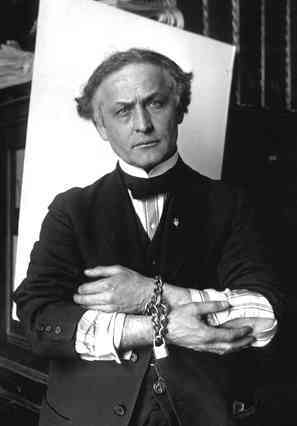 Houdini was locked in all manner of objects, many times being chained. 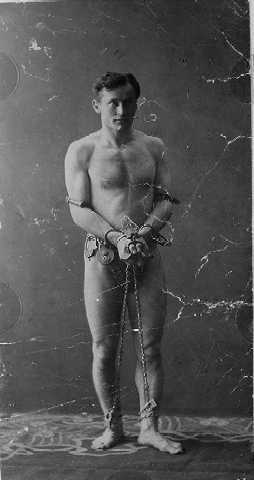 The first one is a great picture of Houdini chained in a divice that it available even today. 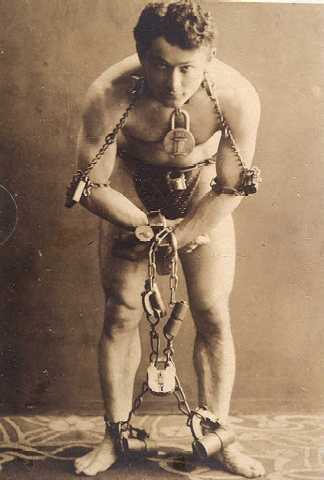 This chain escape is available with a genuine small brass lock from the Houdini Museum, 1433 N Main Ave., Scranton, Pa 18447 for only $15.00 postage included.